Electronic musician RL Grime, fluent in the sounds of future bass, drum ‘n’ bass, and of course grime, defies most EDM artists’ approach to drop a well thought out and cohesive project rather than sporadic singles. Nova is his second full-length, following 2014’s Void, and runs through a high-energy and endlessly fun selection of different sounds and genres, recruiting a great selection of guests as well. Most of these tracks are shell-shockingly heavy with bass and other dominant, flaring synths, and puts RL Grime in a category all on his own by sheer virtue of his ability to craft these tailor-made party tracks that still include a selection of sounds so distinctive and distracting. The transitions and clear album structure, as well, make the usually taxing task of listening to an EDM album, almost an hour straight of one-note dance tracks, much more engaging – though at 15 songs it still does fall victim to a few pitfalls of almost every electronic full-length. 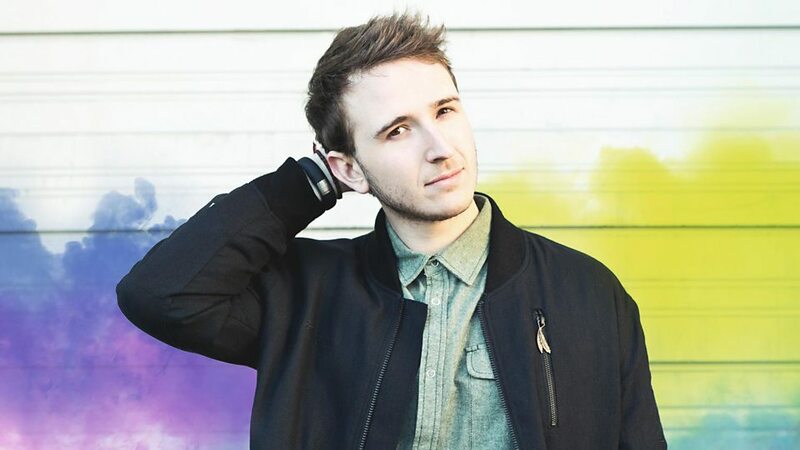 RL Grime has always incorporated elements of trap music into his work, even before the huge boom in popularity of the genre, so he makes an easier transition than most in keeping his brand of EDM relevant to the musical conversation as the mid-2010s brostep wave dies out. The focus on it isn’t huge here, Grime maintaining what makes him unique, but the familiar hi-hats serve as the foundation that Grime builds his dynamic soundscapes on to a successful degree, tracks where hip-hop artists show up some of the best here. “Feel Free” is a great instrumental intro that displays his musicality as it relates to the wonky, perfectly arrhythmic future bass sound – the track is a nice introduction to the rest of his work here, being pretty abrasive immediately but dynamic and experimental enough to surprise the listener as it breaks from formula. I always love when the 2nd drop switches up the sound rather than looping the first half of the song once again. As the tracklisting continues, Grime really does show his diversity in running through a lot of different styles here, the album rarely boring to listen to. “Shrine” re-introduces some of his older elements of high-speed drum ‘n’ bass, while “Light Me Up” brings both Miguel and Julia Michaels aboard for a bouncy, tropical pop track, Michaels’ soft and seductive vocals contrasting surprisingly well with the pounding synth line in the chorus. The following run of 3 hip-hop influenced tracks is where the album hits its experimental and euphoric stride, however. Jeremih’s delivery on “Undo” is intoxicating, flowing smoothly over a traditional rap instrumental before Grime unexpectedly drops a quirky, jagged synth melody that sends the track into an energetic overdrive. “Take It Away” is a track that really shocked me, however. Featuring (2018 MVP?) Ty Dolla $ign, it’s one of the biggest musical sensory overloads I’ve ever experienced. The chorus features these gargantuan sliding synths, elevating upwards like some kind of twisted carnival ride, eerie yet completely celebratory and triumphant, alternating with complete silence as the undeniable effortless cool of Ty holds it all together. The same kind of euphoric, top-of-the world feeling is replicated on “Reims” – something about it just makes you feel powerful. The wailing, distorted vocal sample underscores what can only be described as a strobe light in sound form, a completely in-your-face oscillating synth line. “Pressure” is another great instrumental track, a slightly menacing bassline building to the kind of trademark off-kilter future-bass chorus Grime is known for. As is to be expected with an EDM project, a few of these tracks have too many similarities to exist on the same tracklisting together, although I do appreciate how Grime tries to make it appear more than rinse-and-repeat with his transitions. There’s only so much pummelling my senses into submission that I can take in one sitting! Actually though, some of my least favourite tracks on this project are when Grime opts to tone it down a bit. “OMG” is an upbeat and fun track, but it pales in comparison to the previous two similar tracks with hip-hop artists, Joji’s laid back delivery not fitting in as well. “Shoulda” introduces a run of instrumental tracks with a more atmospheric sound bordering on chillwave that takes too long to get to its higher-energy conclusion and doesn’t align with his greatest strengths. “I Wanna Know”, featuring Daya, and “UCLA”, featuring rapper 24hrs, feel out of place tacked onto the end of the tracklisting as well farther away from their counterparts. 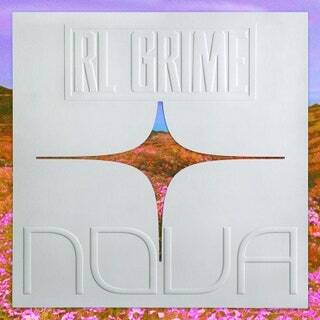 Nova is one of the most consistently engaging EDM projects I’ve heard in a while, due to RL Grime’s ability to switch up his style all the while inserting himself in the current musical conversation. It’s easy to see why he’s had staying power over quite a few of his contemporaries who started around the same time, and his creativity and adaptability across the board here make him stand out. I’m sure I’d like it even more in a live setting.